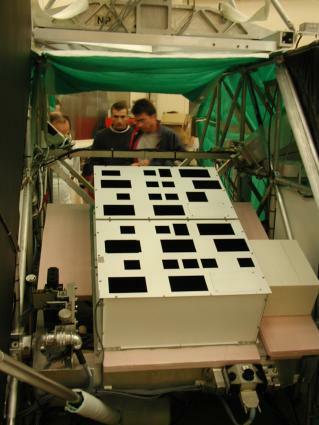 A highly sophisticated gondola specializing in air mass zero (AM0) calibration of solar cells. 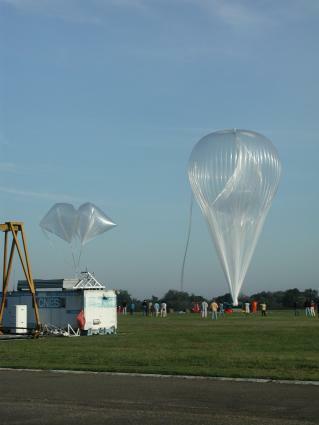 Calibrations are performed fliying the gondola on-board stratospheric balloons at high altitudes (>36 km) where the solar spectral irradiance is very close to AM0. The cells calibrated in this way can subsequently be used as standard solar cell in various laboratory tasks for solar cell characterization by sun simulators. 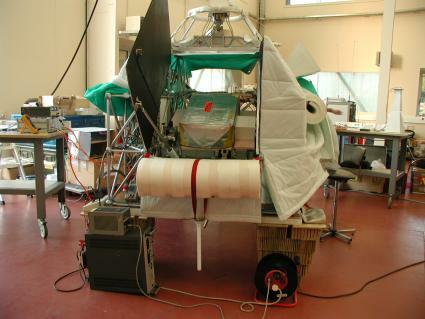 CNES is the only laboratory in Europe carrying out calibration of this type above the atmosphere. 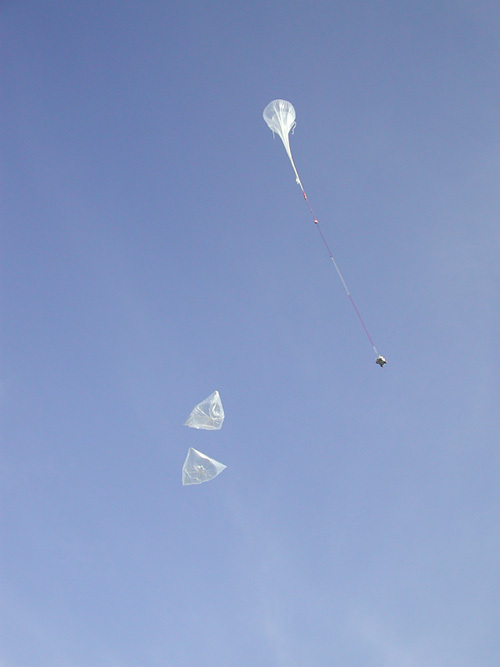 At left is a drawing of the balloon/payload system (click to enlarge). 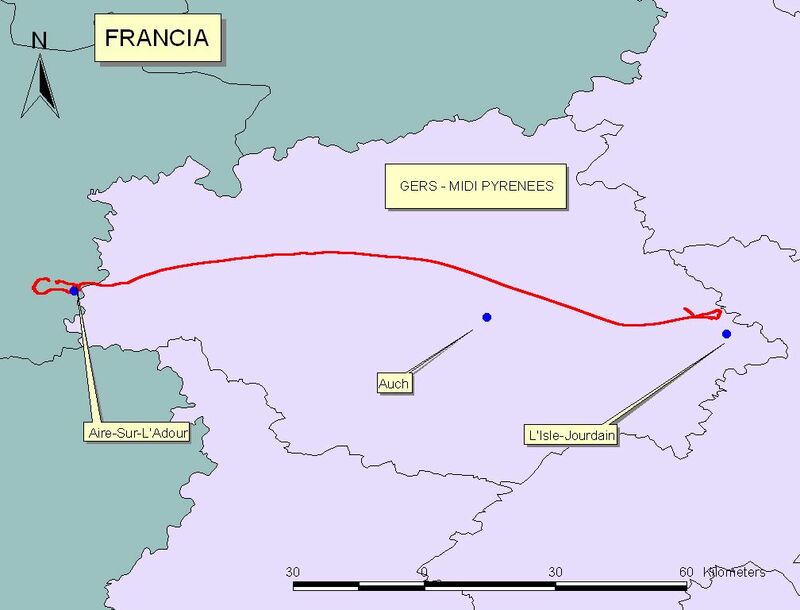 The CNES calibration flights have flown from Aire sur l'Adour or Gap (in France) facilities since 1975 and recently (2005) also were flown in the ecuatorial region (Northern Brazil). The flights are scheduled between June and September, since the Sun is high in the sky at this time of year so that the sunlight passes through a minimal thickness of the atmosphere before reaching the solar modules. 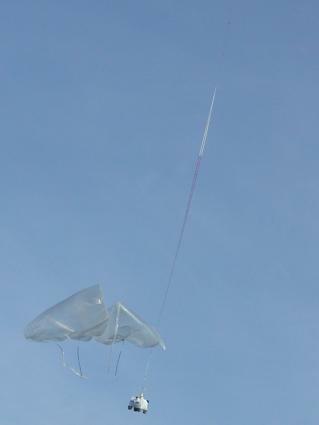 Launch was on September 18 at 9:12 local time, by dinamic launch method assisted by auxiliary balloons. The payload returned to the launch base in good condition the same day. Click in the map at left to see the flight path of the balloon (thanks to Marcelo Salvia).